There are many impressive things to see and do in and around Cusco. This makes Cusco such a great destination for Spanish courses in Peru. Cusco, the old capital of the Inca Empire, offers great options for trekking and other adventure sports such a rafting, hiking, mountain biking, mountain biking and so on. 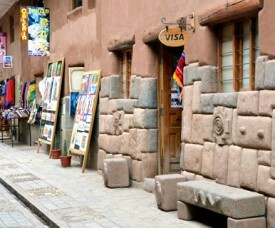 But the most important are probably the many Inca ruins and traditional culture.